You are here for a reason, someone or something told you about me and a curious spark of light as lead you to this page. As you know, I love the tools of Astrology, Tarot, Sound Healing and Ritual and would love to share these tools with you NOW! Below are some of my favorite readings for my first time clients! In our 90-minute session we will use the transformation tools of Astrology, Tarot, Life Story Coach and NLP. Together we begin looking at your Natal Chart and discover who you are and how you came to evolve. We look at your natural gifts and talents, challenges, career, relationships and your Life Purpose. The Life Purpose Tarot reading will reveal the soul of who you are and how to embody this self into everyday life. We will be able to answer all those BIG life questions and confirm your souls intuition. This is where the Magic happens! In our ongoing sessions, we will be able to look at your goals, issues and emotional stories and consult the cosmos on your current life lessons and how to overcome them. We will bring in all my favorite tools of transformation to design a perfect life style package to support you on your journey. This is a 6 month commitment towards building trust in yourself, establishing strong boundaries, living your truth and empowering your life choices. Astrology Transit Reading for planning your monthly schedule for success. LifeCoaching with Tarot to empower your life choices. Moon Rituals to transform subconscious programs and to live a new story. Now is your chance, to dive into the power of the moon to transform, heal and support your soul’s evolution. The Moon represents our subconscious mind, the hidden self and the lens in which we perceive life. 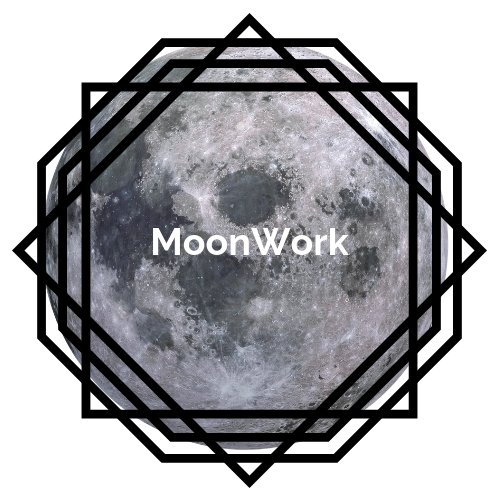 In this MoonWork Coaching, every month you will get personal astrological guidance on how each New and Full Moon will be affecting your life and a specially designed ritual to empower you during the lunar cycle. Weekly MoonScopes for your Rising sign to help you plan for success! Step 3 - Receive a Zoom link for our live session together. What Clients are saying about our work together! Its time to take a leap and begin your transformation journey! The world is shifting and is calling for us to be responsible for our gifts, soul purpose and planet. Time to join the Inner Revolution!